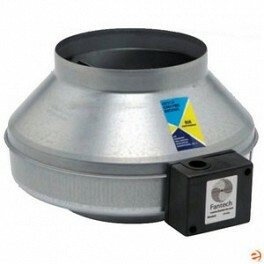 We stock many Fantech model FG fans in our warehouse! The company that invented the circular duct fan more than thirty years ago, now introduces new improved inline fans that are virtually airtight. New production processes eliminate manufacturing variances to ensure tight tolerances for optimal performance of every fan. Galvanized steel housings meet code requirements for both residential and commercial applications. High quality ebm-papst motors ensure long life and dependable performance. If you require other Fantech models, we can certainly order them for you.